Installed my new Saddlemen Explorer seat yesterday. Won't get a chance to ride until Saturday but just sitting on it I can feel a considerable difference. I'm far enough back now that the foot controls feel right where they should be, and I'm up far enough that putting my feet on the highway bars feels good. Kind of funny but until recently I thought that Saddlemen was the company that made the Saddleman "Indian" blanket seat covers for trucks back in the 70's and 80's. And so I never considered them for a motorcycle seat. BTW Marco, you're bike looks tough. 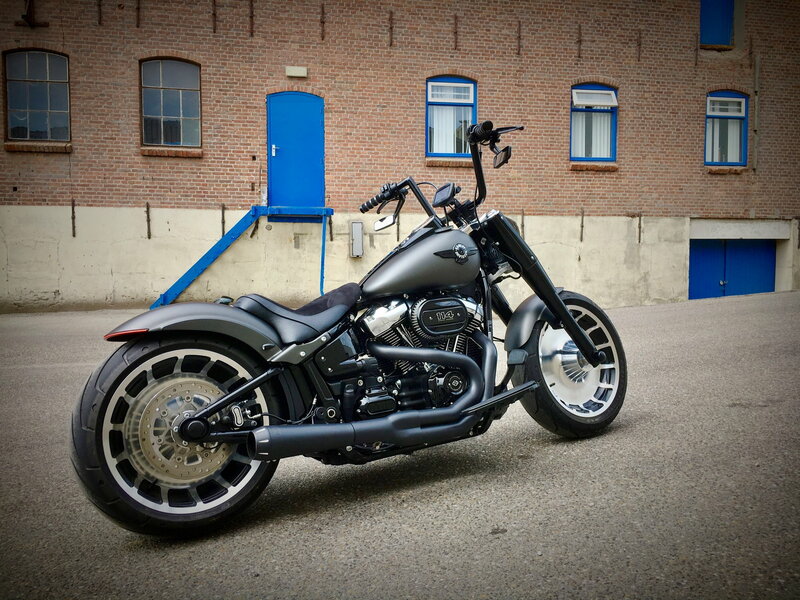 I've got Vance and Hines Eliminator 300's in satin chrome on my 115th Anniversary Fat Boy with stage one tuning. They have a deep sound with a nice rumble when I back off the bike. Before the Eliminators, I had the HD Screaming Eagles to eliminate warranty worries. 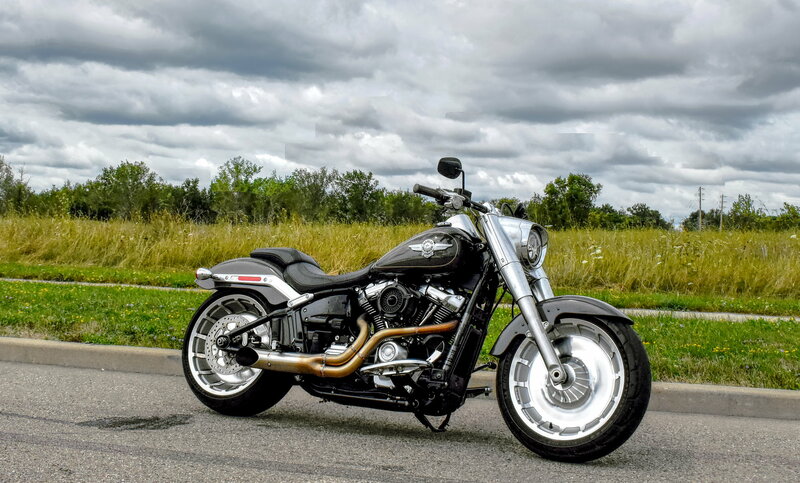 I hated the Harley exhausts and went to Vance and Hines because of my past positive experience with the companies' products. As a bonus, I've put over a thousand miles on the 300's with no discoloration or burned spots on the finish. Moreover, the Eliminator 300's eliminate the catalyst without having to change the stock head pipe. I have the Eliminator 300's in satin chrome as well with stage one tuning and am completely happy with the sound. Everything Mac-427 is spot on. None of the videos / sound clips online do the 300's justice, they are louder than any of the videos I've watched. Thats why I never pay ANY attention to you tube videos of exhaust sounds. They are being recorded and played back on smartphone mics and pc speakers, none of which can render actual sounds similar to the original. You’d need a calibrated mic at a set recording level for anything close to a side by side recording. Problem is our smartphones want everything they record to be at the “perfect” level, so whether recording stock pipes, or open drag pipes, it will raise or lower the levels so they all sound the same. Ok man... tell us more about that digital Gauge display/mount!! Is that the DYNOJET Black Power unit? I think I like that! Can you tlell me how loud it is? Personally I'll be going with this V&H set after the warranty runs down. Here is mine in a comparison video I made.